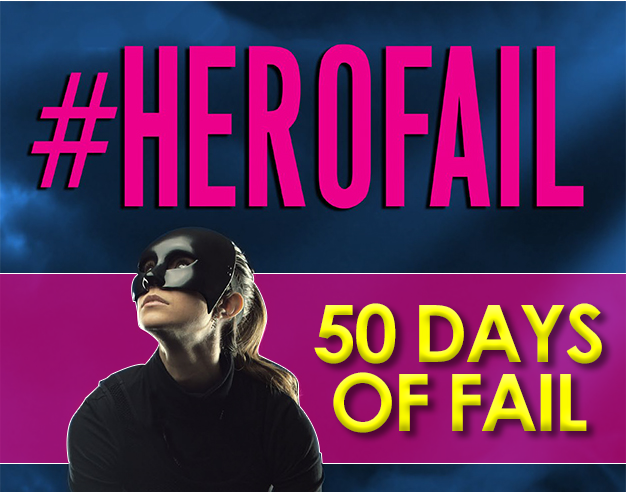 So in 49 days, #HEROFAIL will hit e-shelves and the thing I am terrible about as an author is promotion. So I’ve decided to break it up from the two gigantic things I promise myself to do and instead I’m doing 50 days of small stuff. Otherwise known as FIFTY DAYS OF FAIL GAIL. That’s right! For the next 50 days, there’ll be a little bit about Gail, her friends, the new book, the old books. Book Quote Wednesdays, character profiles, excerpts, online giveaways, and the first three chapters! You’ll be able to follow it here on my blog, on my Lexie FB page, on my Twitter timeline, or by tracking the #50DaysofFail hashtag on Twitter.